River North previously was named Smokey Hollow around the turn of the 20th century due to the many factories and forges in the area. It’s bounded by Michigan Avenue to the east, Chicago Avenue to the north, and the Chicago River to the south and west. 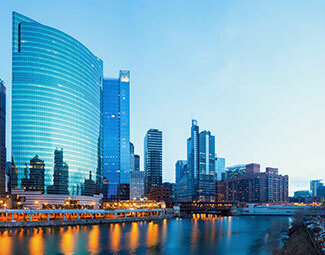 It boasts a large amount of art and design studios and is considered a stylish urban neighborhood that sits across the bridge from the Loop and upscale restaurants and bars can be found throughout the area.